« Babies ‘R Us Sweepstakes ~ Win a Baby Brezza AND Your Entire Baby Registry Too! Thank you for joining the Friday Blog Hop hosted by myself (Nicole) at Mama to 4 Blessings and Melissa at Home Grown Families! We invite you to join us every Friday to make more blog friends! It's very easy to join in on the fun! Add your main blog (PLEASE DO NOT LINK UP GIVEAWAYS) link (we ask that you please follow the hostesses in the first 2 spots (Mama to 4 Blessings & Home Grown Families.) Then leave us a quick comment letting us know you are following so we follow you back! This is a great opportunity for you to visit other blogs on the link up and comment on their blogs! When people comment on your blog please let them know that you are part of Friday Blog Hop then return the favor and follow them back! Please feel free to grab our Friday Blog Hop button and add it to your blog and spread the word! Please only enter your MAIN blog link and please G rated links ONLY - NO CURSING please. Home Grown Families and Mama to 4 Blessings are family friendly blogs. This week's featured guest hostess is: Mommy Living the Life of Riley! Please also follow this week's Featured Blogger: Mommy Living The Life of Riley! Each week a new featured blogger who will be chosen at random, but you must be participate in the weekly link up - that's how we will choose a new featured blogger every week! So please come back every week & link up because you could be our next featured guest blogger! 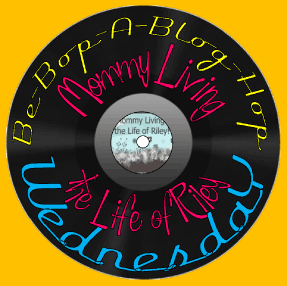 Also, please remember that Mommy Living the Life of Riley is hosting a Wednesday Blog Hop called the Be-Bop-A Blog Hop Wednesday! Make sure to stop by and find some new blogging buddies! 19 Responses to LOOK! I’m This Week’s Guest Host of the Friday Blog Hop… So Let’s Hop to It! Following you from the blog hop! Love the site design! :) Have a GREAT weekend! Hi! Congrats on being featured! I am a new follower from the blog hop! Love your blog hop! Thanks for facilitating the link up to other blogs. We all learn so much from each other’s creativity and blogging. Hope you can stop by at my blog too! Following you via the Friday blog hop. Have a blessed Friday! Hi! Stopping by from Friday Blog Hop and am now following you. Would appreciate you following me too. Blessings! Congrats on being featured in the Friday Hop!! I am a new follower…can’t wait to read more! I found you via Fun Follow Friday and I’m your existing follower Rae T. from There’s a Contest for That. I’m a new follower from the Friday blog hop. I am from the Friday Blog Hop. Looking forward to following you. I signed up and am following you : ) Thanks for hosting! newest follower from blog hop. Love a visit. Also hosting a FB Linky Love. Hi, I’m a new follower! I’d love for you to stop by my blog too!